The pendulum assembly consists of two fused quartz bobs of unequal sizes with a fused quartz pendulum rod between them. The rod has a trunnion mounted at its center. Originally, I had planned to use a knife edge suspension as the pendulum support. Instead, I decided to use a form of cross spring suspension known as a C-Flex bearing. These suspensions are manufactured in many sizes and seemed like an excellent choice for a suspension since the movement was limited and the forces on the springs quite small. Given these parameters, the bearings should last forever.. A Pair of impulse arms are fixed to the trunnion at a 90 degree angles to the suspension springs. 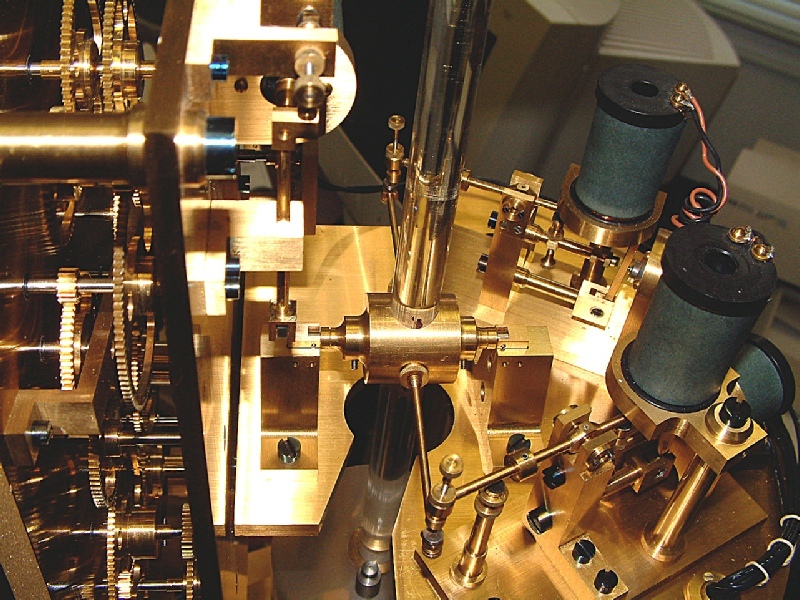 The trunnion assembly is pinned to the fused quartz pendulum rod. 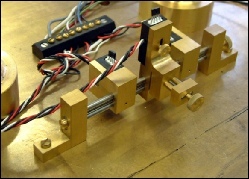 Below the lower fused quartz bob, three neodymium iron cobalt magnets are fixed to the pendulum rod. These activate the 3 Hall Effect (HE) devices which control the impulse mechanisms. I currently have no plan to compensate the pendulum assembly for temperature but if after testing there is a problem, I’ll add the temperature compensation then. I have a feeling that temperature compensating a compound pendulum is going to be a problem to calculate.